Oren is a Managing Partner and leads transaction origination, structuring, execution and portfolio management, as well as the overall management of the firm. Oren has deep and diverse Private Equity and Capital Markets experience, as well as a unique set of managerial and execution skills based on years of practice both as an advisor and as a principal investor. 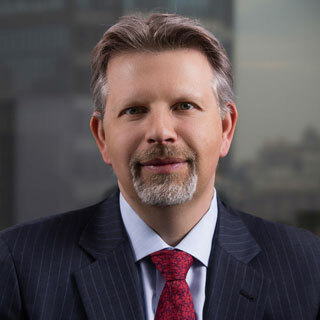 Prior to founding Gatewood, Oren served as Executive Vice President, Deputy Chief Executive Officer and Head of Capital Markets and Private Equity at Hapoalim Securities USA Inc., a U.S.-based Broker Dealer and a wholly owned subsidiary of Bank Hapoalim BM, Israel leading financial institution. Prior to joining Hapoalim Securities USA Inc. in 2007, Oren was a Vice President with Pacific Corporate Group (PCG), one of the world’s leading private equity investment advisors. At PCG, Oren headed the Small/Middle US Corporate Finance and Secondaries investment units, leading the identification, selection and due diligence of private equity investments. Prior to PCG, Oren interned with the private equity group of the New York State Common Retirement Fund and previously was an attorney with Weksler, Bregman & Co., where he advised clients on mergers and acquisitions, private equity investments and securities offerings. He was also Chairman and a Co-Founder of Dbursa Capital Ltd, a leading Israeli online capital markets community and is a member of several boards. Oren graduated from the Yale School of Management with an M.B.A. in finance, from the Radziner Law School in the Interdisciplinary center (IDC), Herzliya, with an LL.B. and from the Arison School of Business in IDC with a B.A. in Finance.